Alstonite is a barium calcium carbonate. 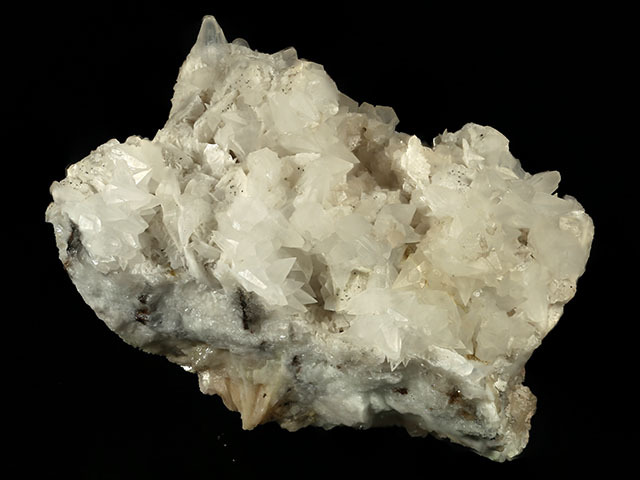 While originally named bromlite after the mine (Thompson, 1835), Breithaupt (1841) independently named the species alstonite, a name which has persisted. The name alstonite refers to the nearby village of Alston. The mineral has puzzled crystallographers, who originally thought the mineral was hexagonal, but now agree that it is triclinic and twinned (Sartori, 1975). Young et al. (1990) provide an interesting description of the collecting history of alstonite. 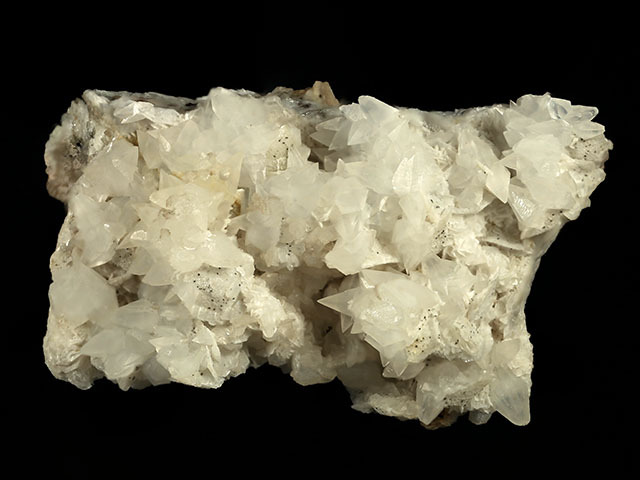 Alstonite here forms pseudohexagonal dipyramids, up to 7 mm long. 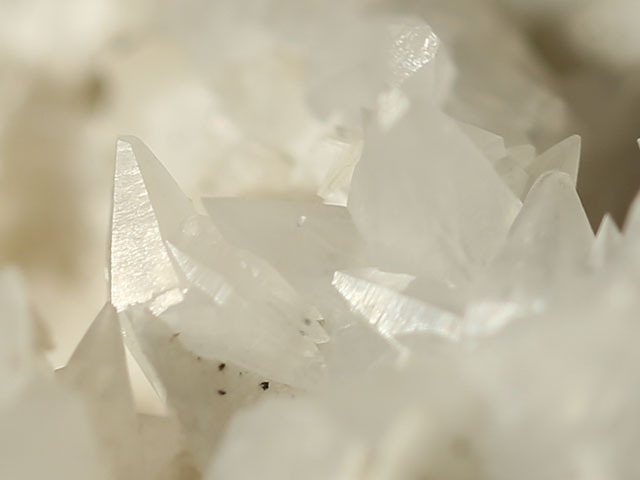 These crystals are tightly packed and intergrown over an aggregate of baryte crystals. This specimen was part of the personal collection of Ralph Merrill, proprietor of the prolific mail order business Minerals Unlimited. Merrill's collection card and label ship with the specimen.